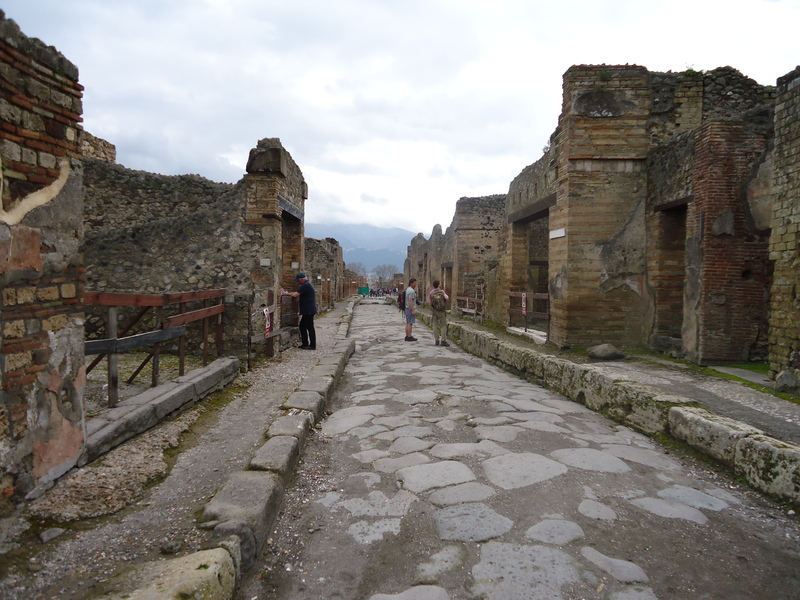 The site entrance to the ruins of Pompeii were a hundred yards from our campsite so we were able to look around before the masses of tourists arrived in their coach loads. 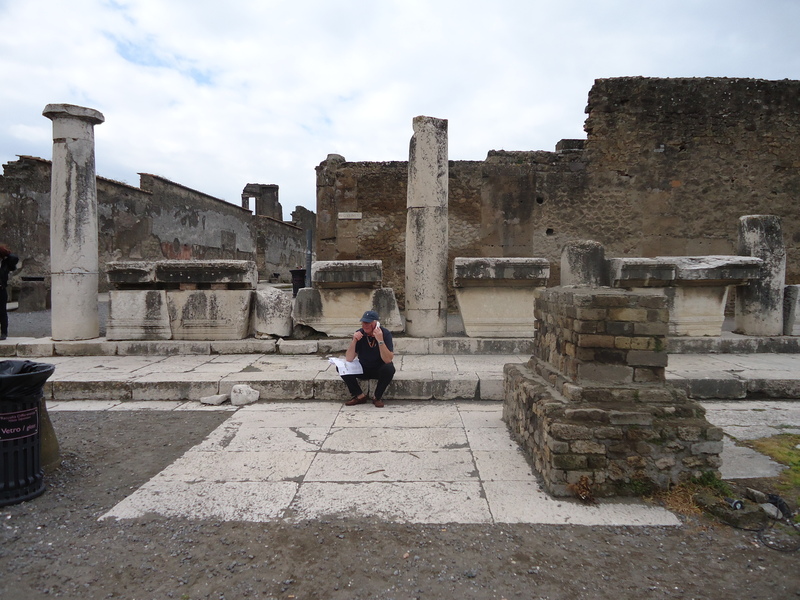 The site was huge and we spent the morning happily wandering around. Afterwards we took the train to Sorrento and then a taxi ride to Positano, a fishing village on the Amalfi Coast that rises up almost vertically from the small port. Since the 1950s tourism had been its main industry. We enjoyed the walk down the steep, narrow streets, passing some very expensive shops on the way. We had lunch in a restaurant on the beach before taking the long walk back to the top.